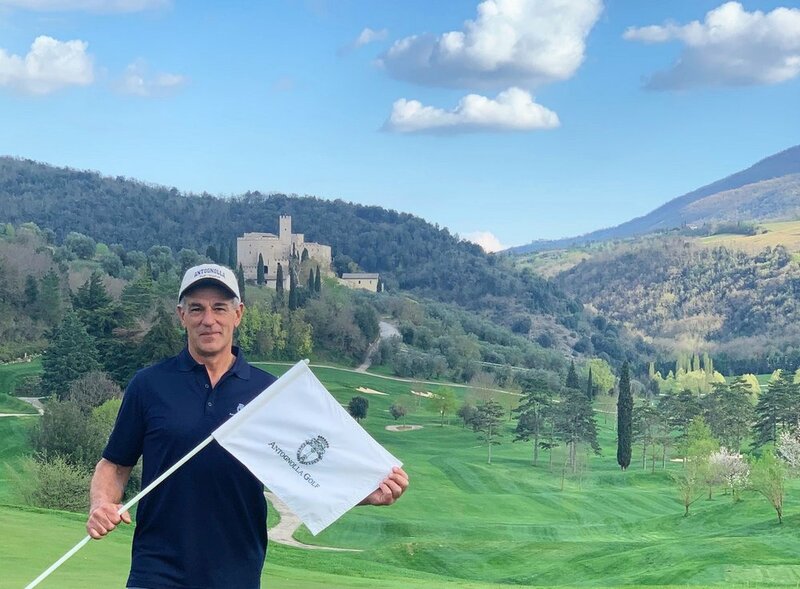 UMBRIA, Italy (April 15, 2019) – Antognolla Golf are delighted to welcome one of the top Italian turf professionals to their team. Gian Mario Geromino recently joined Antognolla Golf as Golf Course Superintendent, to help take the newly renovated golf course to the highest levels of condition and presentation. Gian Mario joins Antognolla Golf from one of Italy’s other finest golf courses, Verdura Resort in Sicily. Gian Mario was responsible for the 45 holes of golf at Verdura and delivering the tournament conditions for a course that hosted two European Tour events (Rocco Forte Sicillian Open 2017 & 18), during his stewardship. Gian Mario will now assume the responsibility of maturing the golf course following the extensive renovations of Antognolla Golf which took place in 2018. This work included a complete redesign and modernisation of the bunkering, along with 13.5 acres of irrigated turfgrass reduction, the resurfacing of all 18 tee grounds, newly designed practice facilities and an expanded drainage system that will create year-round playability. The highly regarded existing bentgrass greens that Antognolla is known for, remain intact as originally designed by Robert Trent Jones Jr.
Burguière further added, “the changes have made a huge impact already, both visually but also in creating a golf course which is now playable all year round. We are excited to continue the agronomy development under the leadership of Gian Mario”. Antognolla Luxury Resort & Residences - A new chapter in the history of Antognolla has begun, as the castle and estate are transformed into an exclusive international resort. Featuring a luxury hotel and one of the country’s finest golf courses, as well as a limited number of sumptuous residences, the project is one of the first of its kind in Italy. Integrating new building of the highest standards with historic original architecture and an unspoilt natural environment, Antognolla represents a unique marriage of authentic, ancient Umbria, with ultra-modern comfort and luxury. Original historic architecture will be preserved as a key element of the development, while new building will reflect the history, style and beauty of this exceptional place. www.antognolla.com.